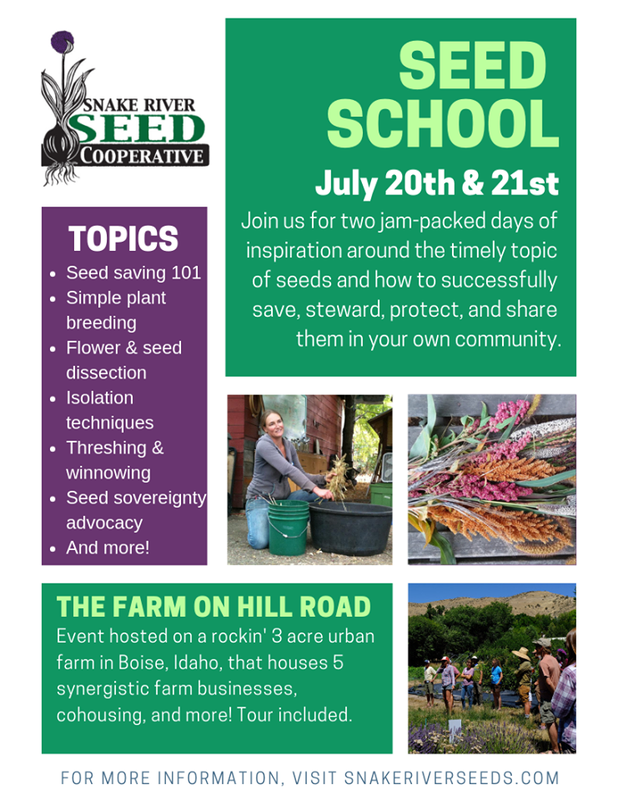 Join us for two days of Seed School! This lively event will feature loads of hands-on seedy activities, ample seed saving education, wonderful connection and conversation with fellow seed folk, and superb local food on a gorgeous urban farm! Taught by our rockstar director, Casey O’Leary. With 15 years of farming experience, and 10 years teaching through an extensive internship program, Casey is well known for her knowledge and her ability to inspire! She also has completed Seed School teacher training, taught by Rocky Mountain Seed Alliance.